10 percent discount blue button. 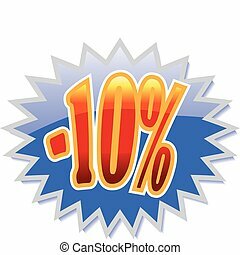 10 percent discount blue silver button isolated. 3D render red text 10 percent off on white crack hole background with reflection. 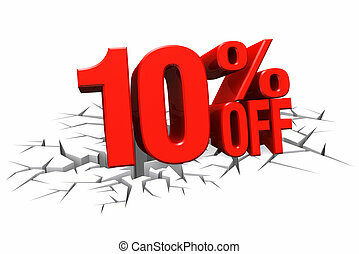 10 percent discount icon. Internet button on abstract background.